It is used in the publishing industry for temporary holding of manuscripts and pasting of posted articles. Easy to use, such as being able to cut with fingers and writing letters from the top, it is heavily used for many years. Originally I bought it at another shop, but since I can buy cheaply on the discount day of tapes discount, I switched to purchase here. I am saved. This review is about item#3331876. Easy to use, it is used every time when painting the floor. This review is about item#7338466. 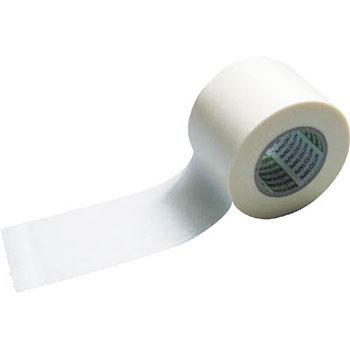 I am very saved because the real Line tape is expensive. This review is about item#3331903. It is usually masked with a general masking tape (green), but it is used for a summary of these wrap packages and a gap closing when there are many parts, such as the door closure (door closer etc.). Medical Oil Paper It is a size and ease of use like an adhesive tape. It is convenient for hinges and between pillars. This review is about item#52998478. It is used in curing of the floor coating. Adhesion is just fine and good. This review is about item#7338441. This review is about item#68175153. This review is about item#3331867. Especially not possible, it is used normally. I hope the price is lower. This review is about item#03331903. Compared to competitors' products, adhesion of glue is small, so easy to use. This review is about item#03331867. I used various masking tapes, but the degree of stickiness was exactly right. This review is about item#07338441. Adhesion, thickness etc. used for many years is just good balance. It is convenient to buy cheap products that can be safe. This review is about item#07338466. This review is about item#10695632. Previously I used Sekisui at my home center. I am trying to keep using it because it is somewhat cheap to go to buy, but I would like to consider the case special price. This review is about item#03331876. Easy to cut with fingers during simple packaging or temporary packaging, but strong, but when peeling it is easy without glue residue. However, as time (more than half a year) gets sticky, I think it would be better if it could be improved. That's why I use it only for temporary packaging, so there is not much problem. Because we spend a lot in a day, the price is cheap, it is very handy.